​The military has always relied on information to make key decisions. Now, a new process combines the power of data analytics with the management and execution of missions to help better arm leaders with the information they need, when they need it. Here's how it works. Nearing the end of his time in office, President Theodore Roosevelt ordered 16 Navy battleships to be painted white and traverse the globe as a symbol of power. Collectively dubbed the Great White Fleet, these ships illustrated the United States’ ability to deploy to the furthest corners of the world in defense of its interests.1 Along its journey, in January 1909 the fleet received word of an earthquake in Messina, Italy. The USS Scorpion, an acquired steam-powered yacht stationed in Constantinople, responded first and was quickly followed by Roosevelt’s White Fleet, which raced to the scene to help.2 These humanitarian relief efforts offered an early lesson on the importance of the US military being in the right place at the right time. One century later, the Navy found itself in a similar situation. On January 12, 2010, a 7.0-magnitude earthquake violently shook Haiti, killing roughly 150,000 people and causing several billion dollars’ worth of damage.3 Two US Coast Guard ships on local patrols were first on the scene and were soon joined by the aircraft carrier USS Carl Vinson, which just so happened to be transiting south from Norfolk, Virginia, toward the Caribbean. In what became Operation Unified Response, the Department of Defense (DoD) quickly mobilized ships, aircraft, and personnel to provide food, medical care, air-traffic control, and other essential support services.4 As in Messina, good planning and good fortune made a bad situation a little better. But lessons still need to be learned. Humanitarian assistance in Haiti highlighted the difficulties in coordinating the rapid deployment of multiple assets when a crisis suddenly emerges. A review of the US military’s disaster relief efforts in Haiti stated, “Planning and coordination shortfalls hindered [the operation’s] efficiency and, potentially, its effectiveness.”5 In other words, it sometimes isn’t enough to be in the right place at the right time—you should also have the right plan and show up with the right stuff. From natural disasters to national security contingencies, the US military’s process for strategically positioning its assets and sustaining a global force remains relatively the same. But the explosion of technology means that more information is available when making deployment and stationing decisions. This information can provide insights on patterns in adversarial nations’ behaviors to help predict when missile launches will occur or when forces are being mobilized. It can identify weather patterns that will affect military operations and facilitate more precise, localized forecasting. And it can help identify new transit routes and prepositioning of provisions to reduce resupply times and improve responses to contingencies. While the military’s current approach has a proven track record, significant efficiencies could be gained by putting additional information to better use. That’s the promise of an advanced process called mission analytics. The concept behind it is simple: It’s data analytics—examining raw data to discover new insights—applied to the management and execution of the mission. Mission analytics stems from the idea that data should empower, not overwhelm, decision makers. Analytics has proven to be an invaluable tool for those seeking to identify patterns, understand phenomena, or solve problems. In essence, mission analytics interrogates data to enhance all parts of the traditional analytic process and help improve the way organizations carry out their missions. By leveraging vast quantities of data, defense leaders who utilize mission analytics will have more information at their disposal to make positioning and deployment decisions for the full spectrum of military operations. And when a situation takes an inevitable and unexpected turn, mission analytics can help leaders respond quickly and reallocate assets to ensure the force remains ready and optimally placed. Ultimately, mission analytics can be an invaluable tool in stationing military assets, providing leaders with decisive operational advantages. Force laydown strategies depend heavily on the rotation of units. When a squadron, unit, or ship completes its deployment, it often needs to be replaced by another of comparable capability. These rotations require leaders to have high confidence in scheduling data and information about asset availability at their fingertips. Mission analytics can fulfill this need by investigating supply chain, maintenance, and personnel-training data, analyzing the relationships between them to optimize scheduling decisions. Insights into these components of the readiness cycle enable defense leaders to identify issues early, ensure units are prepared for operations, and have a range of options should a contingency arise. Further, incorporating advanced visual interfaces allows the data and insights to be more accessible and informative to decision makers. The end result is a streamlined process that improves resource allocation and readiness. This is but one, powerful component of data-driven deployments. The United States’ national security interests span the globe, and so do threats to those interests. An unfathomably large number of factors and conditions play into how the military can be positioned geographically to meet the nation’s security objectives. Consider the Pacific region: The US military commander responsible for this part of the world oversees 100 million square miles, three dozen nations, and more than one-half of the world’s population and surface area. Nearly 400,000 personnel, more than 2,500 aircraft, and about 200 ships are assigned to protect and defend US interests there. On any given day, military assets in the Pacific must be prepared to respond to a rogue state readying to launch an intercontinental ballistic missile (ICBM) that could house a nuclear weapon and reach the coastal United States. They must closely monitor and react to international conflicts over contested claims on a resource-rich island chain. They must deter piracy in straits that are vital to global shipping routes. Meanwhile, terrorist organizations seek to gain new footholds, nations and non-state actors use cyber weapons to infiltrate military and commercial networks, natural disasters inflict massive damage, and civil conflicts threaten to destabilize nations in the region. At first glance, the decision-making process regarding force deployment in a crisis may seem simple—leaders should just choose the closest available asset. But to address all of these potential events, perhaps simultaneously, careful planning and a more deliberate response are required. Managing a region’s personnel and platforms is a complex task; adding to this complexity is the fact that each asset has multiple capabilities and applications. For example, a Navy destroyer can intercept an ICBM, intervene to prevent an act of piracy, defend against certain cyberattacks, be a first responder to a natural disaster, and provide presence in contested waters. But it cannot do all those things at the same time. So determining where to sail and position itself, while accounting for its supply and maintenance requirements, is a strategic decision based on several interrelated factors, including the location and capabilities of other ships, planes, and units. It’s easy to see how difficult making these sorts of choices for every asset in the region could be. To help get a handle on such a massive undertaking, military commanders and their staffs produce strategic and comprehensive estimates. These documents are used to facilitate the employment of forces, consider both the quantifiable and intangible aspects of operations, help visualize the future, and “form the basis of information that currently helps commanders determine where to move or deploy assets during an operation or crisis.”6 Military doctrine requires staffs to “constantly collect, process, and evaluate information” and update these estimates when new information becomes available, assumptions change, or the mission is modified. The resulting positioning of the force is usually conveyed in a common operational picture (COP), a shared visual display of relevant information used to oversee an operation and make decisions—most frequently, a map showing the location and status of units in the area.7 Estimates and COPs are the primary means by which military leaders analyze information, decide on the geographical placement of assets, display those decisions, and monitor operations. Put simply, current systems and processes are ill-equipped to deal with the trove of information being collected. Commanders in front of a COP are frequently left asking, “How does any of this information help me understand . . . what [operational] decisions are needed? Most of this is just information without analysis.”12 And staffs that build estimates and provide the inputs that power the COP are drowning in a sea of data. Certainly, some critical information is static and the basis for the lion’s share of planning that occurs. The range of a missile, the location of a base, or the area damaged by a natural disaster are examples of information that doesn’t change frequently, so operational decisions can be made without fear of immediate obsolescence. But if leaders cannot quickly account for other information streams that are constantly updating or changing—such as weather data, intelligence collection, an adversary’s actions, and supply chain data—it can be detrimental to the efficiency and effectiveness of an assigned mission. The glut of information now available to defense leaders can feel like more hindrance than help. As the former secretary of the US Air Force succinctly put it, there are more sensors and more data than there are people to evaluate and interpret what’s collected.13 If it cannot be readily reviewed, catalogued, and analyzed, then it’s either unheeded or a vehicle for introducing inefficiencies into the decision-making processes. Data and information flows that overwhelm defense leaders clog the planning cycle, encumbering the process and sometimes resulting in “analysis paralysis” wherein the best decisions are elusive or unknowable. When this occurs, leaders tend to rely on their experience, training, and gut instinct. While these are all valuable assets, they lack the insights a deeper analysis of all the accessible information would offer. Further, simply keeping track of all assets, their capabilities and statuses, and their interactions is an often-overwhelming task. And the cumulative effect of data overload could prevent the military from being as agile, responsive, and informed as it needs to be to carry out its missions in the safest and most effective manner possible. But what if these decisions could be better informed using insights available through deeper analysis of available information? What if senior leaders could account for all operational factors and immediately wargame strategic positioning and operational positioning? Put simply, what if there is a better way? Mission analytics may very well be the answer. To get a sense of how mission analytics can be of value to the strategic positioning and global deployments of military assets, one might look to a state government example. On the winter streets of Kentucky, hundreds of snow and ice removal trucks are outfitted with sensors that collect and transmit data on the trucks’ location, road conditions, plow position, temperatures, and salt application rates.15 This data is combined with a dozen other sources of information—such as social media feeds, traffic reports, and Doppler radar—to create about 80,000 records every minute. Officials then use scripts to aggregate the data every few seconds, which empowers them to make better decisions on the optimal stationing and routing of trucks; it also prevents excessive coverage over certain areas, and even identifies drivers in distress.16 The benefits that such an approach can have for defense leaders are clear: Aggregating numerous data sources can help determine the best possible geographical laydown of forces according to the mission, a unit’s capabilities, conditions in the area of interest, resupply requirements, and insights from all-source intelligence analysis. Mission analytics is data at work. Certainly, the military is no stranger to data employment. It has long produced and created significant amounts of data, and rapid technological advancements have allowed that data to be put to use in a range of ways, from data feeds that direct precision-guided munitions to the collection and processing of electronic signals that form the backbone of military intelligence. But the use of data is different from the extraction of value from it. With mission analytics, data plays a larger role in accomplishing the mission by becoming an active contributor to the decisions that undergird military action. Information no longer remains just an input to a process; it is a component of work. For defense leaders, mission analytics can examine all of the pertinent information and create optimal responses based on the provided parameters. But first, the data field needs to be regarded as the de facto engine that makes mission analytics run. Since the output of a process largely hinges on the veracity of the input, senior defense leaders will need to carefully consider all of the information required to make sound decisions. And while the information-gathering process itself is a tremendous undertaking, for mission analytics to be effectively applied to military asset positioning and deployments, it is vital. Fortunately, the military is expert at carefully analyzing information required for mission success. The trick is to incorporate larger swaths of data than presently used. The value of mission analytics, then, can be best realized when this new technique is integrated into established processes. In order to help improve the military’s strategic positioning decisions, analytics could be incorporated at key junctures along the continuum of the planning and operational processes. A step toward applying mission analytics to strategic positioning is establishing a baseline, or steady-state, of operations. This can provide a view of the typical rate and kinds of activities that occur within a given time frame in a specified region, such as the number of ships at sea, weather patterns, or airport traffic. A baseline describes what a typical “day in the office” looks like. Collecting and analyzing data helps leaders understand what is normal and establishes a pattern against which future actions can be compared. Baselining operations begins with data wrangling and ingestion, which is the process of taking raw data collected from a variety of sources and sorting, filtering, refining, and aggregating it to prepare it for analytic techniques.17 Identifying the data needed for this endeavor is an art in and of itself. Consider all the ways an adversary’s ship could “leak” information: radars and communications transmitters emit signals into the electromagnetic spectrum, its profile on the horizon is visual information, the wake it leaves in the water gives information about its course and speed, the sounds of its engine and propellers are sources of audio information, the trash it throws overboard are clues to the happenings inside the ship, and the list goes on. A goal of baselining operations isn’t to collect all of this information, but to determine which bits are needed to appropriately characterize the ship and its role in influencing military decisions. Once the baseline is established, leaders can designate a threshold that determines whether an event requires further investigation or a reaction. Additionally, the baseline reveals behavioral patterns that can help predict when particular events may occur again. For example, prior to beginning military exercises, personnel and equipment may be mobilized around certain geographic areas. Analytics can help identify the leading edge of these activities and predict when a nation is gearing up for an exercise. Baselining also serves as a source of institutional knowledge about the environment in which military forces operate in order to know when present-day events last occurred. Once military leaders understand the baseline, they may be better positioned to carry out assigned missions. Now, defense leaders and staffs can begin allocating military assets accordingly. Some of the associated positioning decisions may be constrained by geopolitics and dictated by certain threats to national security interests. For example, diplomatic relations and bilateral agreements will determine which foreign nations are open to housing military bases. And only certain weapon systems can counter ballistic missile launches, so those assets will need to maintain some proximity to launch sites. So deciding where and how to employ military assets will need to operate within certain confines and having a baseline facilitates those judgments. Yet, even within these constraints, each theater of operations offers an infinite number of force configurations. To provide a sense of just how large this number is, think about the game of chess. After each player has made four moves, there are 988 million different possible configurations.18 Now, think about this on a scale of the Pacific region: 100 million square miles, the militaries of nearly 40 nations, and massive amounts of international commercial shipping, air, and land traffic. The possibilities are endless. Of course, defense leaders don’t need to account for every possible move at all times, but the quandary remains: There are more options available to leaders than they can likely fully explore and assess. This is where mission analytics comes in. It combines sources of relevant information (such as location data, weapons ranges, intelligence, and so on) to create data-driven insights that help leaders make decisions on where to place assets. With these insights, military leadership can utilize analytics to model alternative courses of action and more deeply consider different outcomes based on changed inputs.19 This could offer leaders a better comparison of alternatives to help them determine which force configurations, either in a small vicinity or across a vast expanse, would best meet the mission requirements. Since the modeling occurs virtually, new configurations can be assessed in real time and there is no penalty for testing out options that may not conform to traditional norms. Put simply, mission analytics can allow for more robust wargaming. When conducting mission planning, defense leaders are instructed to analyze various courses of action and ask two primary questions: “Is the course of action feasible?” and “Is it acceptable?”20 Wargaming is how this analysis occurs. It involves visualizing the interaction between opposing forces, the actions those forces take, and the environment in which those interactions occur. It can allow leaders to engage in a series of if-then propositions and determine which actions are best-suited to the mission, most feasible, most acceptable in terms of risk and cost, and how the choices compare to one another. There may be a dozen ways to address a threat, so mission analytics assists in identifying the strengths, weaknesses, and trade-offs of each approach so leaders can make more informed decisions. If there’s one thing that every military leader knows to expect, it’s the unexpected. Things rarely go according to plan. There is bound to be an event that requires modifications to operations, and the force that is able to respond more quickly and effectively is better positioned to meet its mission requirements. Just as mission analytics can help baseline operations and enable a wargaming process to select the best course of action, it can also greatly improve contingency responses. As was the case in 1909 in Messina, Italy, and in 2010 in Haiti, the planned transit of warships was altered to render aid to nations suffering from horrid natural disasters. When reconnaissance planes are downed, intelligence collection missions are degraded. Recently, in the Pacific Ocean, a warship’s collision with a commercial tanker left the DoD with one fewer ship capable of ballistic missile defense. These emergency situations remove assets from planned operations and add new missions to a military’s requirements, such as humanitarian responses and personnel recovery. At a moment’s notice, the configuration of the force must adapt to the loss of assets, the addition of new missions, or to a change in conditions. When incidents occur, mission analytics can provide a dynamic planning capability, immediately assessing and recommending the optimal positioning of remaining military assets to cover the missions in a given region. Further, when assets are repositioned to address the highest-priority missions, analytics can be used to assess the increased risk to other operations so that defense leaders can make informed reallocation decisions. When things change, mission analytics can allow for quicker, more informed responses. Typically, operational contingencies force leaders and staffs to return to the planning process and carry it out more expediently. Time is often of the essence; deep, rigorous examinations of all possible options simply isn’t an option. But mission analytics can redefine the relationship between time and rigor by quickly transforming detailed insights into feasible courses of action without sacrificing quality or mission objectives. This system does not replace the decision-making of the actual drivers, who can alter routes at any time in order to avoid a traffic jam on the road or respond to a sudden contingency, such as inclement weather. However, the data-driven recommendations by ORION can inform the driver’s decision on the best course of action. The system also tracks a driver’s navigation decisions, and ORION’s analytics determine when a driver needs more training to operate more efficiently. Analytics can help logistics companies such as UPS become more effective in delivering packages on time and at a lower cost. The benefits of this approach to military asset use and allocation should be considered, either in the tactical application for the military’s logistics fleet or on the much grander scale of theater operations. Applying mission analytics to immediately account for an unforeseen event, such as the loss of a plane or aggressive posturing by an adversarial nation, can provide options to address that event while minimizing impact elsewhere. It’s true that military operations in distant waters and foreign lands are considerably more complex than rerouting trucks to deliver packages, but the concept of leveraging analytics to ingest information and provide recommendations in near-real-time could be a decisive advantage for the military. Knowing the optimal positioning of US military assets requires a deep understanding of military objectives and threats to national security interests. The abundance of sensors, data collection, commercial information, and intelligence is difficult to thoroughly review, collate, and assess in a timely fashion. If this data was fully leveraged, it could be possible to identify the precursors to an enemy force’s hostile activity so that leaders could predict when such activity might take place again. Using analytics to sort through this data, valuable insights can be derived by comparing historical patterns against what is currently occurring. And when familiar patterns emerge, military commanders would then have a record of what may happen next. Knowing about hostile actions before they occur provides a tremendous advantage, particularly when strategizing where to position military units. Mission analytics for threat assessment could have a predictive quality that is invaluable to positioning decisions, becoming a vital part of data-driven deployments. There is a maxim in the business world that has found its way to the hallowed halls of military service: “Fast. Good. Cheap. Pick two.”24 The idea is that whatever the task at hand, it can be an exceptional product delivered quickly but it will be costly, or perhaps it can be delivered quickly at a low cost, but it won’t be very good, and so on. But what isn’t possible is for the product to be of high quality, delivered quickly, and done without expending many resources. In military operations, this concept—more formally known as the Project Management Triangle—travels well. Whether planning missions or carrying them out, determining which of the three attributes should be treated most economically is often dictated by outside factors, such as asset availability or budget levels. This often leads to military responses where the closest assets to an event are not the best-suited for that mission, whether responding to earthquakes or matching an adversarial nation’s aggression with a proportionate show of force. Mission analytics, particularly as it pertains to force configuration planning and utilization, bends this trade-off in the military’s favor—and, in some instances, may break it altogether. Understanding everything happening in a specified geographic area is exceptionally difficult, but mission analytics can ingest, wrangle, and assess the data quickly to provide high-quality insights with a fraction of the resources that are usually required to fully characterize a region. Wargaming various courses of action, especially those that do not conform to traditional configurations, can occur more quickly with mission analytics and produces a better quality analysis with less manpower. And when steady-state operations are interrupted due to a contingency, mission analytics facilitates rapid assessment of the situation and optimal force reallocations and reconfigurations with less investments of time and personnel. Along the continuum of operations related to force laydown, mission analytics contorts the triangle and simplifies the decision calculus for defense leaders. Of course, the full capability that mission analytics can bring to bear isn’t complete without an interactive visualization of asset positioning and deployments in a given region. The visual interface and processing power of most current common operational picture systems cannot handle the power of the insights that mission analytics enables or the engagement required to fully leverage the technique. Instead, a modern graphics user interface with a touchscreen display that allows for the manipulation of parameters and data by directly interacting with display may be more appropriate. For example, in a given force configuration, a military commander should be able to touch a squadron forward deployed in one place, “drag” it to another base in a different country, and immediately see how the force should be reconfigured to account for its new positioning. It should also reveal any vulnerabilities or risks that are presented due to the move, adjustments to supply-chain requirements, and the resulting impacts of standing and emergent missions—all at the touch of a finger. Proper visualization is critical to mission analytics, especially when in use for the force configuration. Mission analytics is an answer to the data-overload dilemma. By bringing all of the information to bear to characterize the operational environment, determine force configurations, and reallocate based on contingencies, defense leaders and their staffs can be much better equipped and situated to maintain decisive advantages over other militaries and non-state organizations. Success stories of mission analytics in the private sector and state government are proof of the power of the technique to optimize complex processes, making it well-suited to the challenges of the DoD’s force-deployment decisions. Managing the DoD’s mission of force positioning and deployment is too important to be left behind the wave of big data analysis that has allowed for significant gains in so many other organizations. Whether snowplows or tanks, earthquakes or missile launches, analytics offers a packaged, tailored solution to fit the current need—and, most importantly, to accomplish the mission. 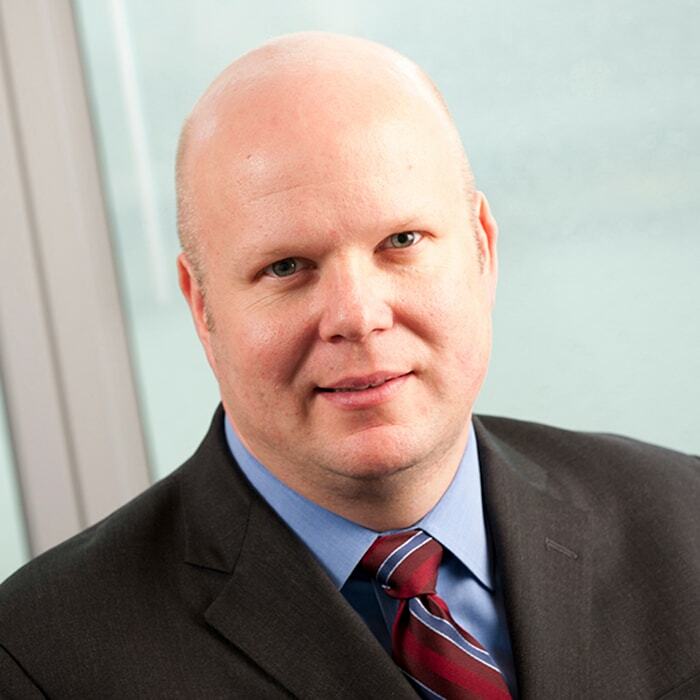 Nathan Houser leads the Defense and National Security practice and is based in Arlington, VA.
Ted Johnson, the Defense and National Security research manager with Deloitte’s Center for Government Insights, is based in Arlington, VA. The authors would like to thank Bill Eggers, Jason Singh, Michael Martin, Bruce Chew, and Peter Viechnicki for their input and expertise. Data-driven deployments has been added to your bookmarks. Data-driven deployments has been removed from your bookmarks.